Throwing my vote in for Tree supports and other customizable options. Topic: Missing sections from print? Re: Missing sections from print? That's just plain confusing. I tried to do that when I had everything set up on the build plate and it still errored but putting the tower by itself and doing it works fine. S3D is missing entire sections from this model when I try to slice it. Cura, however, doesn't have that issue. 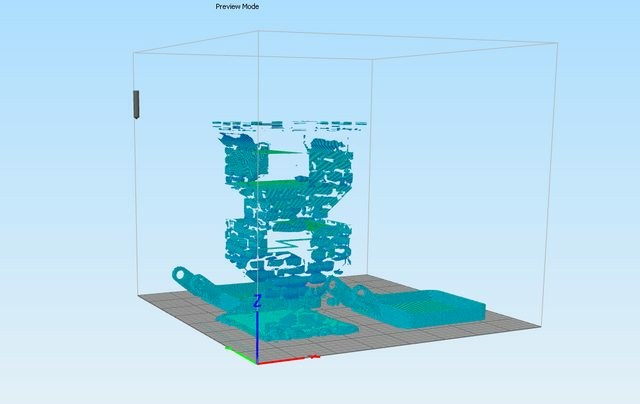 Below, I have attached an image of what S3D is doing. What am I missing? > uncheck "merge all outlines into a single model"
Actually, Blackbird was correct. I had that checked and as soon as I unchecked it, that seemed to clear any issues I was having.